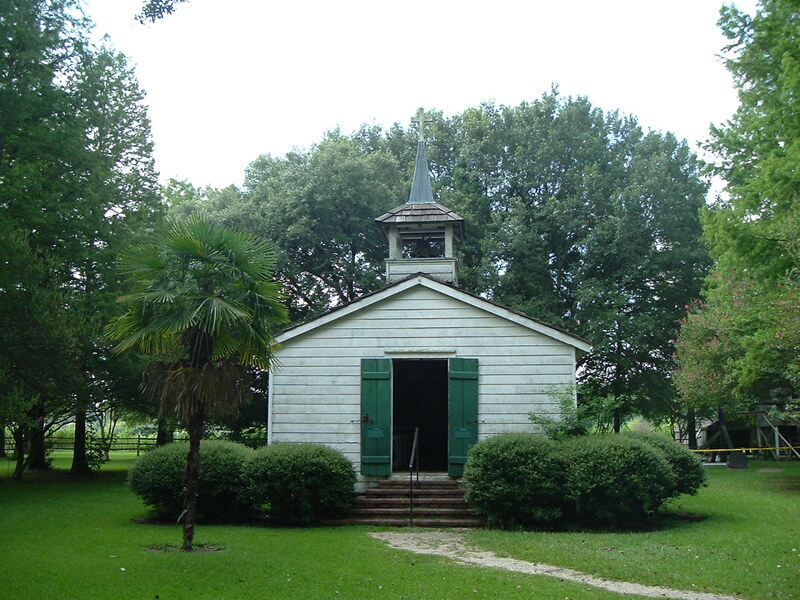 During the plantation days, the same building was both used for church and school. 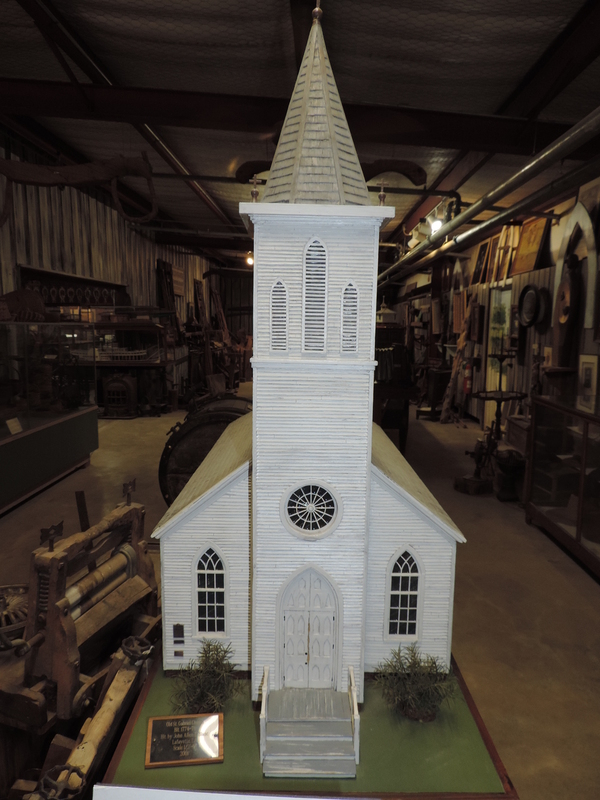 The Rural Life Museum, operated by LSU, has various buildings, furniture, equipment, and models. 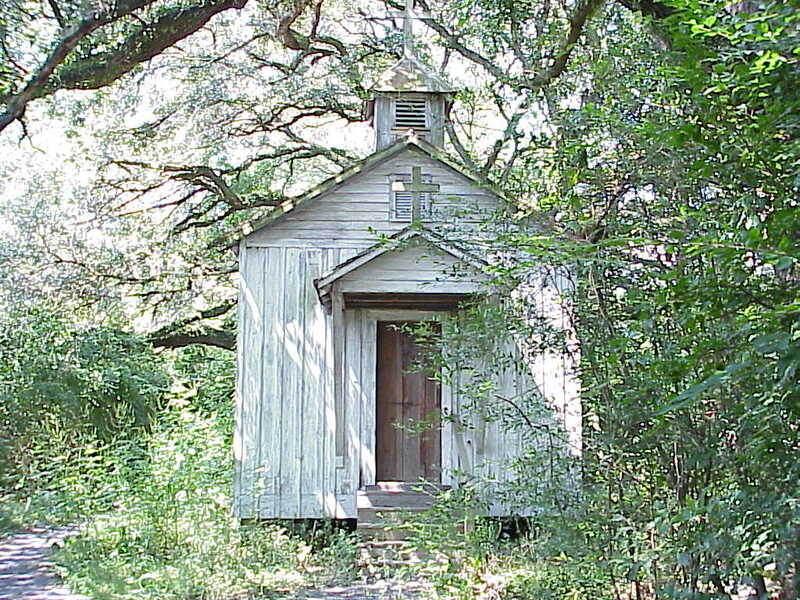 This church is located in the Santa Maria Subdivision. 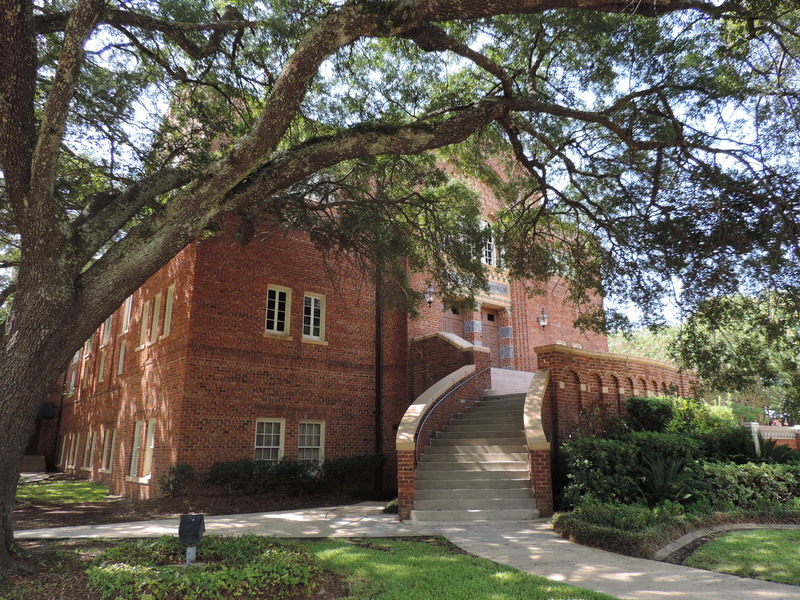 When the subdivision was under development it was decided to preserve this building and the land around it.